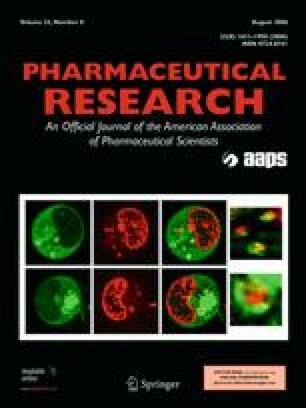 The bioavailability of a development candidate active pharmaceutical ingredient (API) was very low after oral dosing in dogs. In order to improve bioavailability, we sought to increase the dissolution rate of the solid form of the API. When traditional methods of forming salts and amorphous material failed to produce a viable solid form for continued development, we turned to the non-traditional approach of cocrystallization. A crystal engineering approach was used to design and execute a cocrystal screen of the API. Hydrogen bonding between the API and pharmaceutically acceptable carboxylic acids was identified as a viable synthon for associating multiple components in the solid state. A number of carboxylic acid guest molecules were tested for cocrystal formation with the API. A cocrystal containing the API and glutaric acid in a 1:1 molecular ratio was identified and the single crystal structure is reported. Physical characterization of the cocrystal showed that it is unique regarding thermal, spectroscopic, X-ray, and dissolution properties. The cocrystal solid is nonhygroscopic, and chemically and physically stable to thermal stress. Use of the cocrystal increased the aqueous dissolution rate by 18 times as compared to the homomeric crystalline form of the drug. Single dose dog exposure studies confirmed that the cocrystal increased plasma AUC values by three times at two different dose levels. APIs that are non-ionizable or demonstrate poor salt forming ability traditionally present few opportunities for creating crystalline solid forms with desired physical properties. Cocrystals are an additional class of crystalline solid that can provide options for improved properties. In this case, a crystalline molecular complex of glutaric acid and an API was identified and used to demonstrate an improvement in the oral bioavailability of the API in dogs. The authors thank Dr. Ken Hardcastle at the Emory University Chemistry Department X-Ray Diffraction Center for collecting and solving the single crystal structure of the cocrystal. The authors also acknowledge the support of Drs. Phil Goliber and Leah Lipsich of Purdue Pharma L. P.